Amidst the celebrations in India, some miscreants have used the opportunity to use the pilot’s identity to spread fake news on Indian Air Force pilot Abhinandan Varthaman across different social media portals. Imitation is the best form of flattery, they say, but if you happen to impersonate Indian Air Force pilot Abhinandan Varthaman on social media, you are simply asking for trouble. Ask UP youth who was recently booked for creating a fake Twitter account of the pilot and posting praises for the Pakistan prime minister Imran Khan. Ever since IAF pilot Abhinandan Varthaman has returned to India after being held captive in Pakistan for nearly three days, the nation has been in a mood of celebration. Celebrities, brands, and the general public of India has found new ways to celebrate the Wing Commander’s arrival and honour his courage. Amidst the on-going celebrations in India, some miscreants have used the opportunity to use the pilot’s identity to spread fake news across different social media portals. Despite the Indian government officials issuing clarifications, several fake profiles in the pilot’s name have surfaced on the Internet ever since the Wing Commander returned to India. 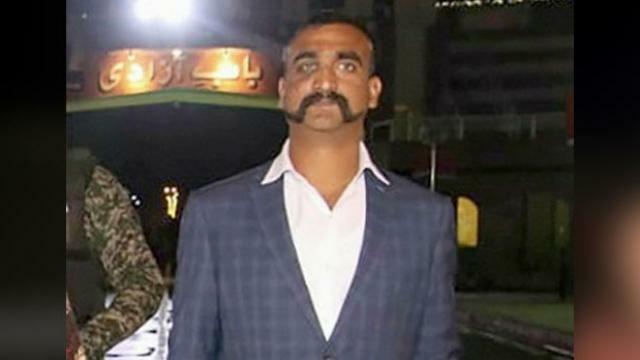 To combat this and put an end to fake news floating the airspace, Indian Air Force’s official Twitter account on Tuesday posted a tweet and informed the netizens that Abhinandan Varthaman did not have a social media account on any portal. IAF also urged the users to avoid following such fake accounts being used in the name of any IAF Airwarrior for spreading misinformation. Apart from attempting to cut down on people following the impersonators, the IAF also listed several Twitter handles that were using the pilot’s identity to post misleading information from several platforms. The Wing Commander was captured by the Pakistani Army after his warplane crash-landed in PoK following an aerial dogfight with fighter jets of the Pakistan Air Force near the Line of Control.